The Year 2013 in Review! 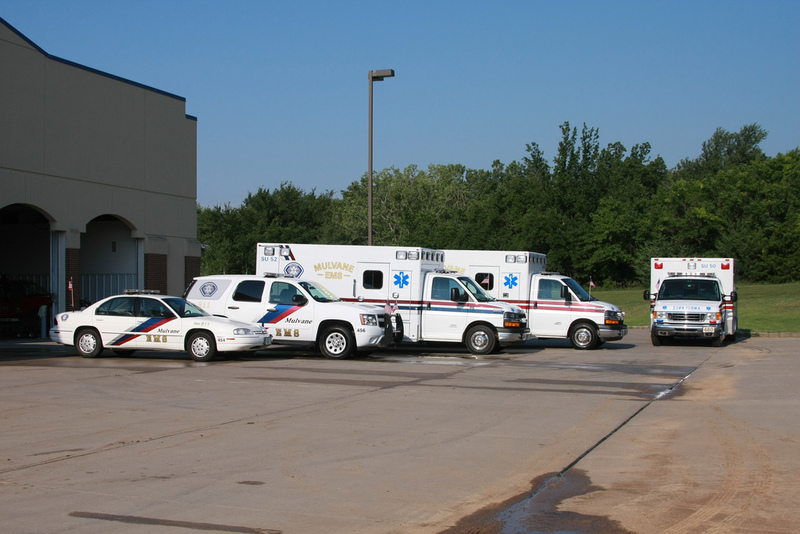 EMS ran 831 calls with 853 patients or 2.3 ambulance calls per Day! 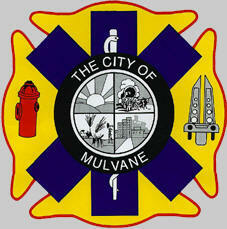 Mulvane Fire Rescue ran 408 Fire Alarms or 1.1 fire call per day! 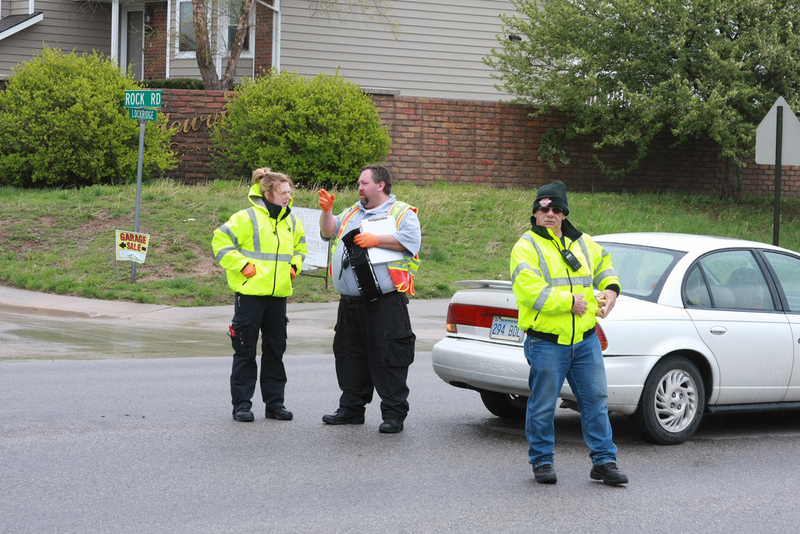 Mulvane Fire Rescue raises $4,000 for MDA in boot drive! 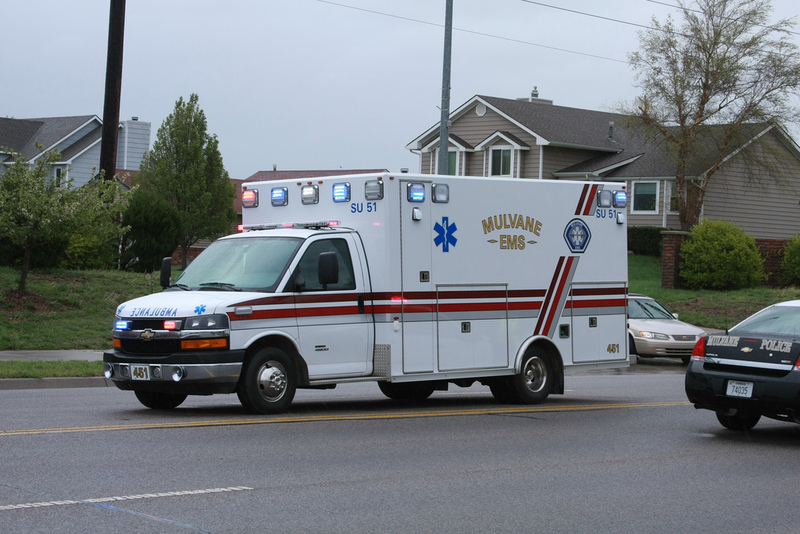 Mulvane EMS adds the Striker Power Cot load system in all three Ambulances! 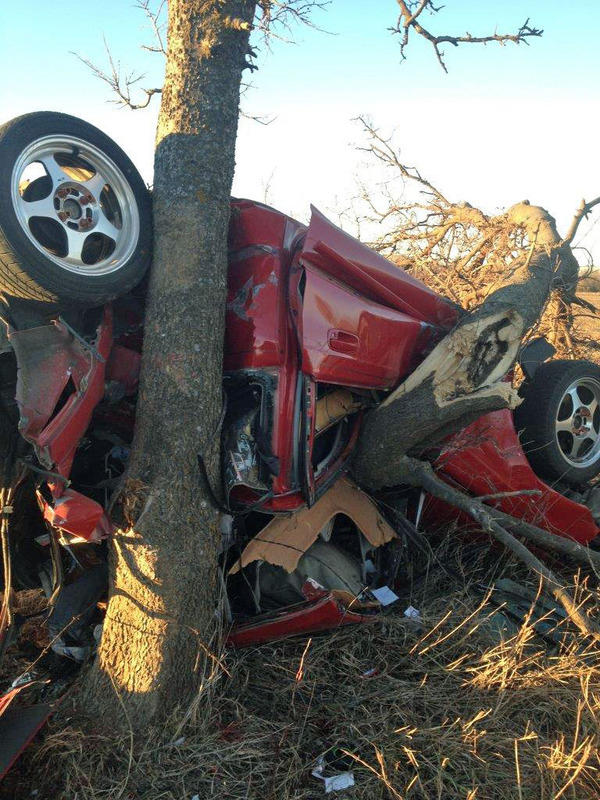 Mulvane Fire Rescue received a $2,250 grant from the Forestry Service for a foam system on P-409! 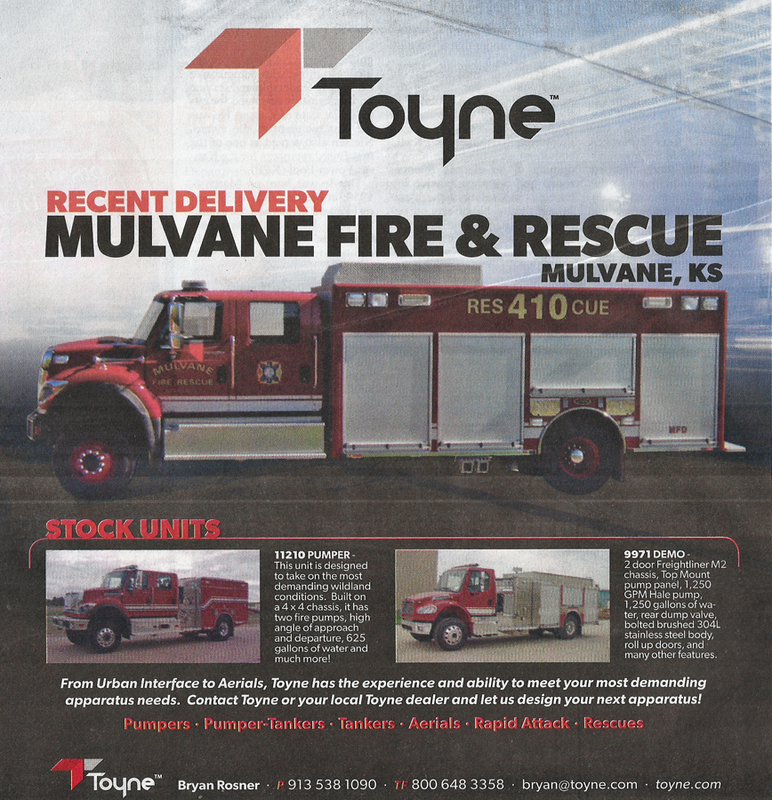 Mulvane Fire Rescue receives a new Toyne Heavy Rescue Truck. 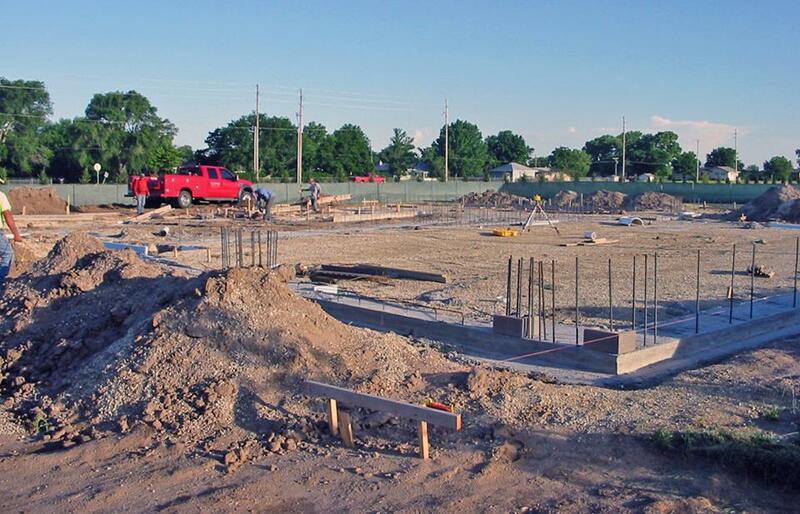 Construction starts on new west Fire & EMS substation at Kansas Star Casino. 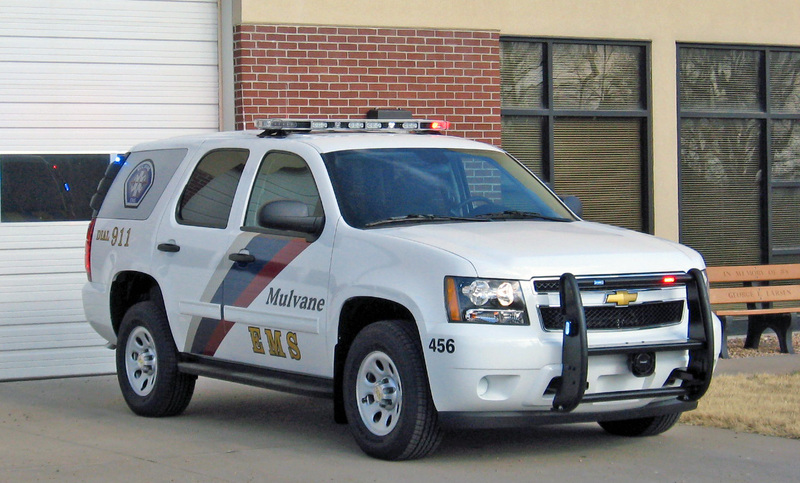 Mulvane EMS adds a new Captain's Tahoe. 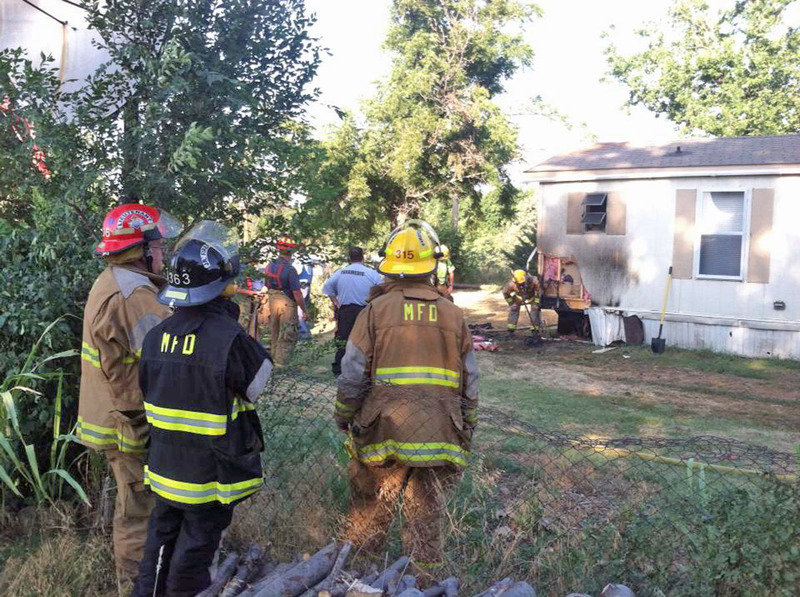 Congratulations to: FF/EMT Caleb Hatfield, FF Matt Rhodes, FF David Dieker, FF Matt Wilson, FF/EMT Ruben Cornwell & FF Jordan Horner. 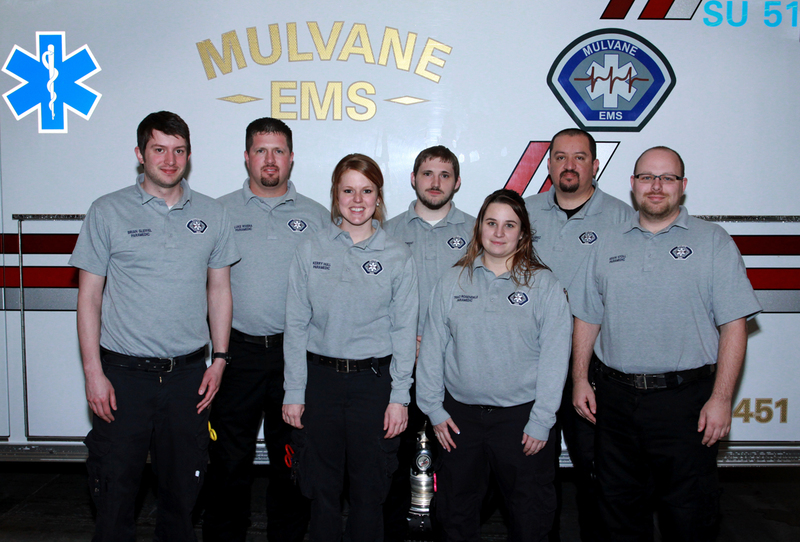 Mulvane EMS welcomes 7 new Paramedics. 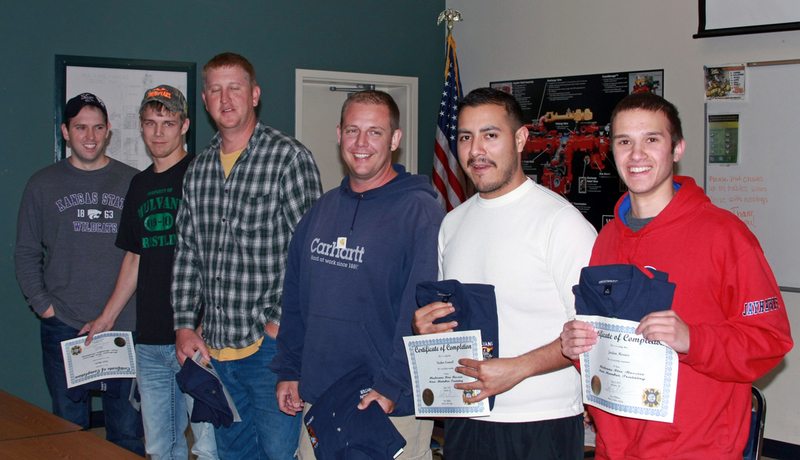 Congratulations to; Brian Sleffel, Kerry Hull, Traci Rosendale, Heron Juarez, Kevin Stoll, Gabe Ponce & Rocky Bumgarner. 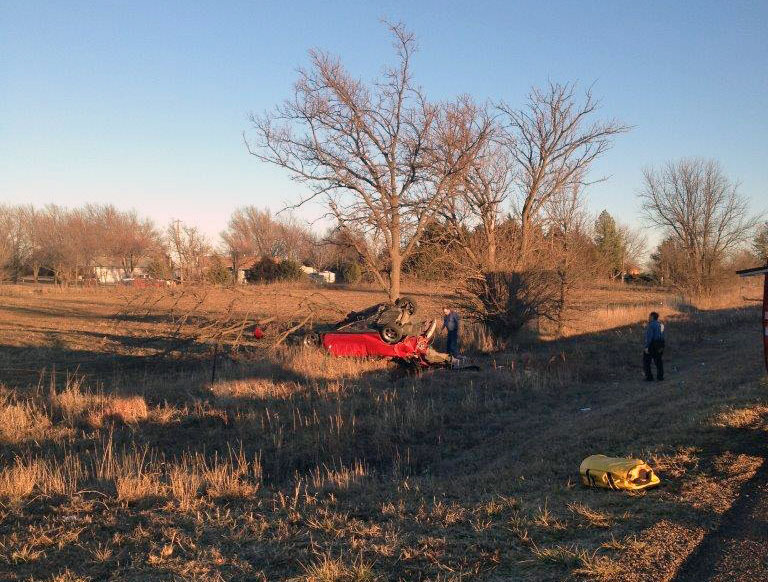 Mulvane EMS welcomes AEMT; Veronica Tripp. 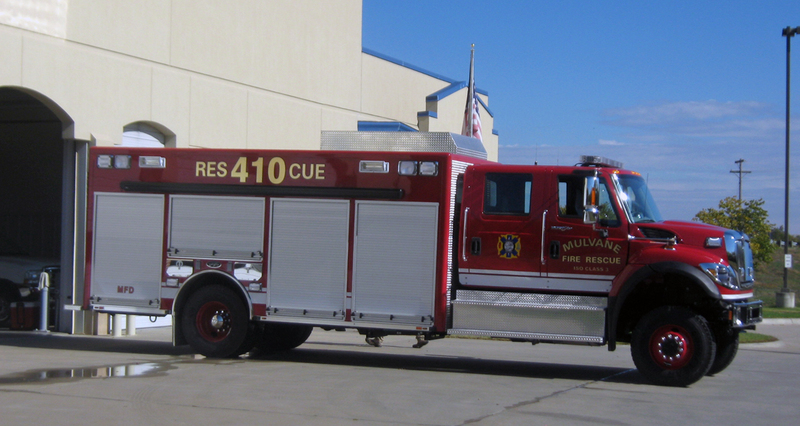 Mulvane Fire Reserves welcomes 2 new member! Congratulations to: Kyle Andrews & Larissa Ester. 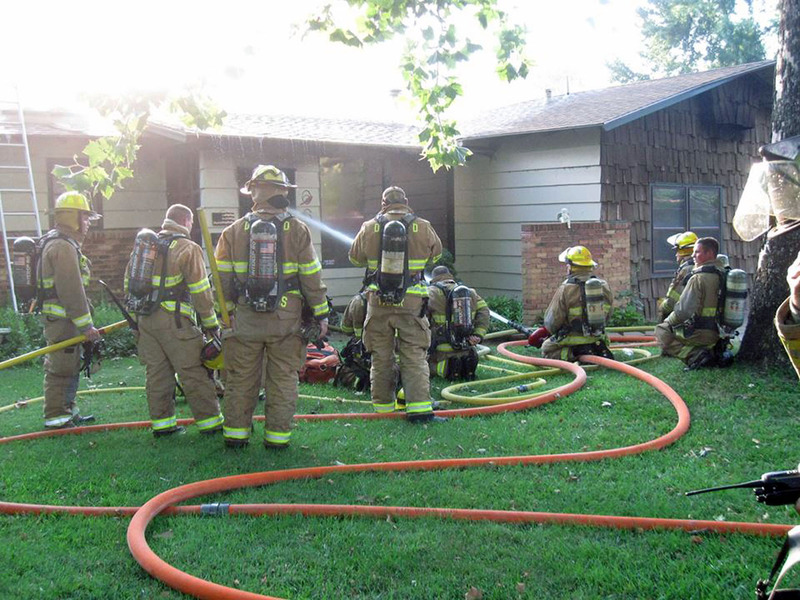 2014 FD New Member class now forming. 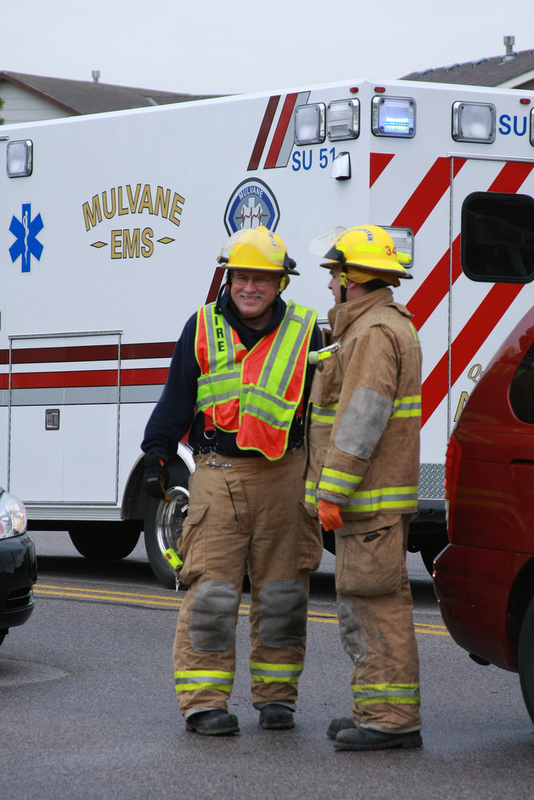 Mulvane Fire Rescue is especially interested in volunteers living West of the Arkansas River for staffing Station #2 which will open February 2014. Please fill out the attached application and return to Capt. 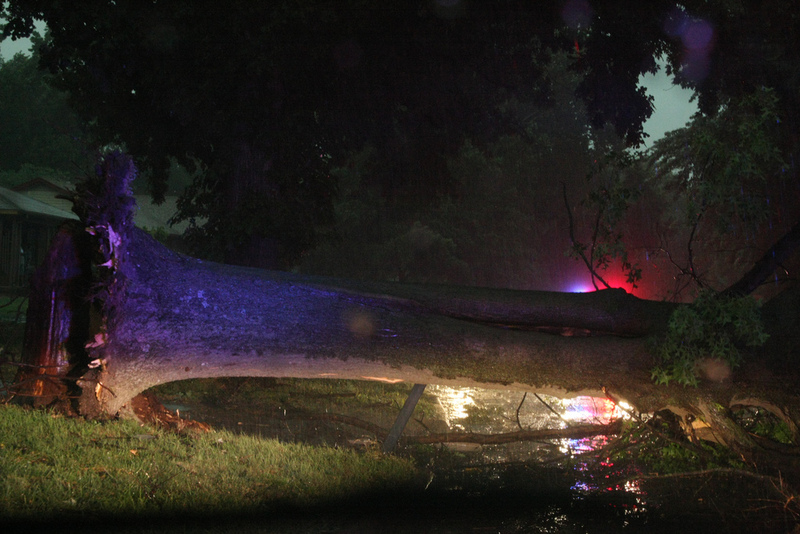 Lowell Ester by December 24th. New Foam system installed on Pickup 409 thanks to a Forestry Grant. 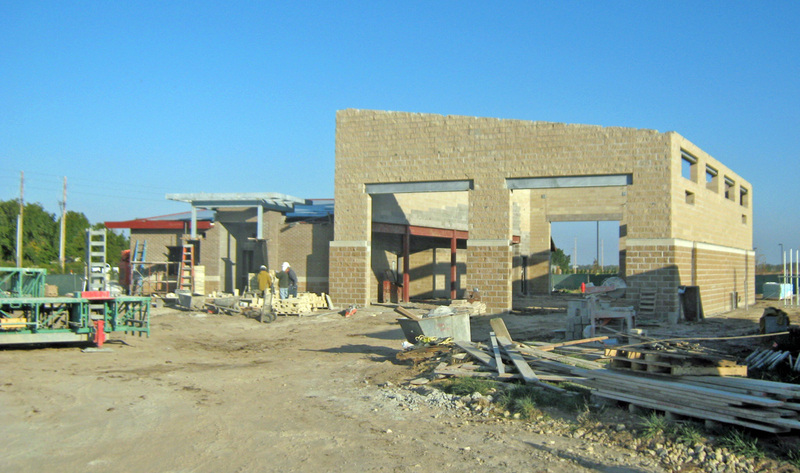 West Fire & EMS sub-station #2 falls a little behind schedule, opening date now projected for February 2014. 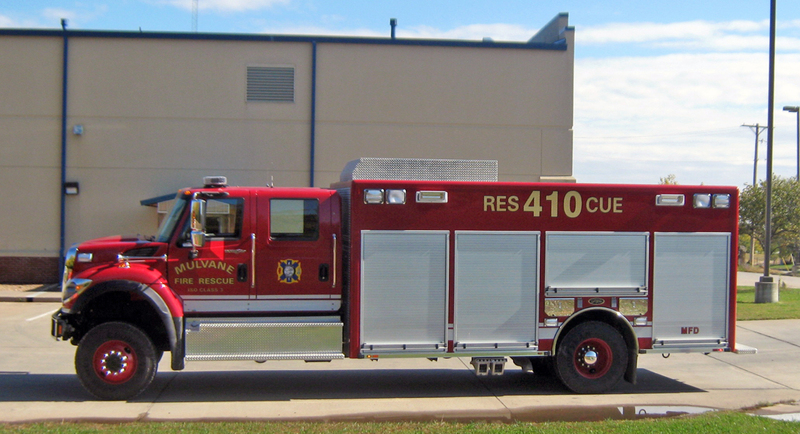 Web page for Rescue 410 can be found here. 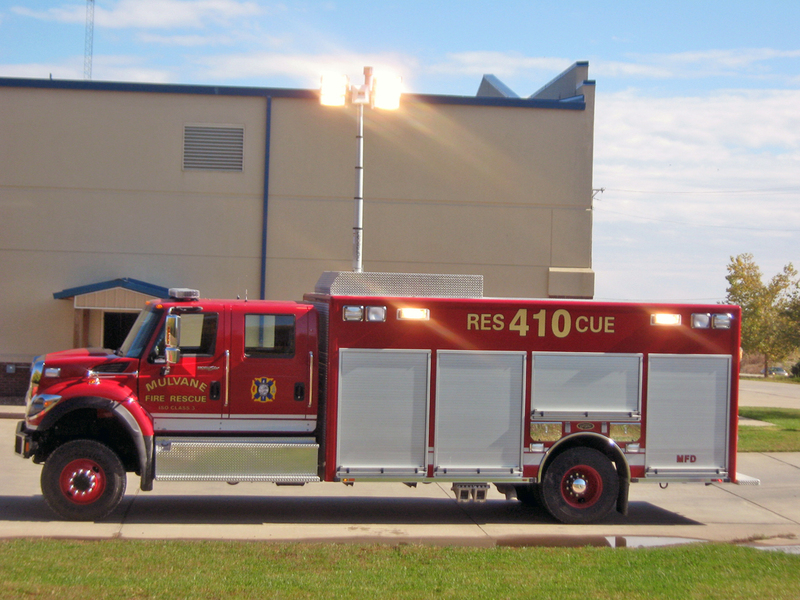 New Rescue 410 has arrived and went into service October 31st. 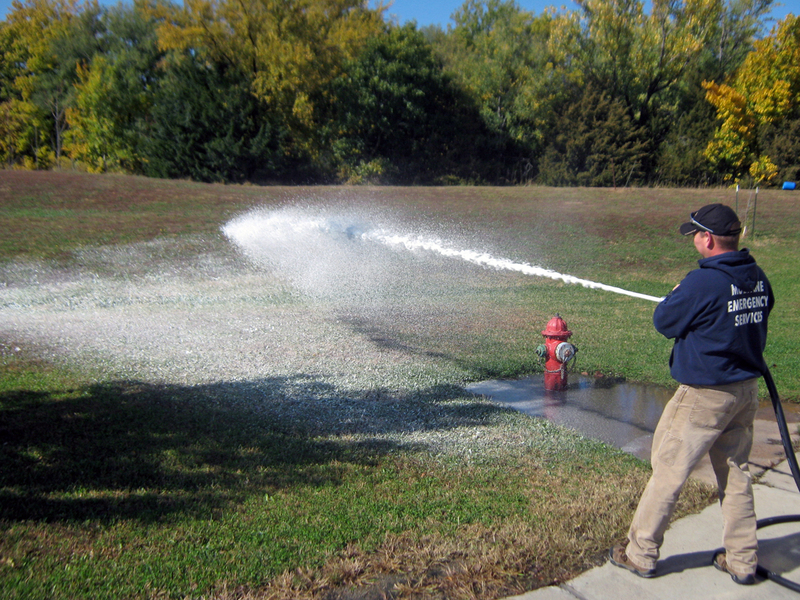 Lt. Mundell sprays foam from the Tri-max CAFS system. 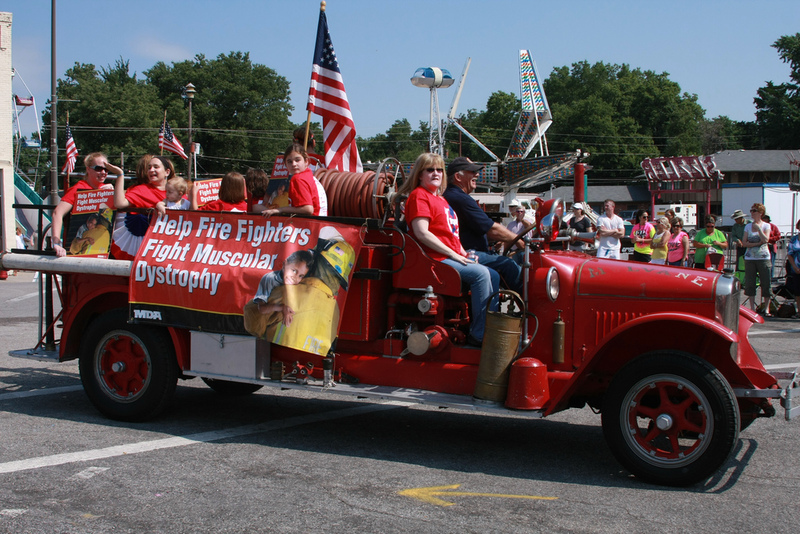 Mulvane Firefighters raise over $4,000 for MDA! More Photos here of Parade! 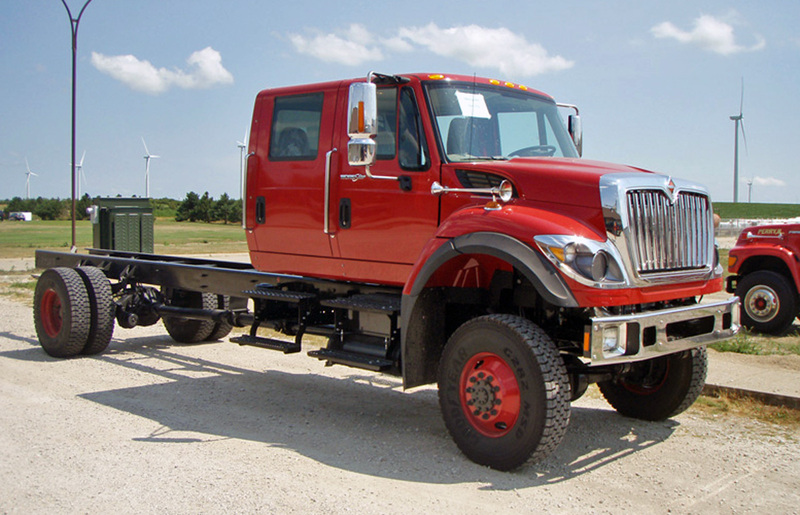 Cab & Chassis arrives at the Toyne factory, construction begins on a new rescue truck! 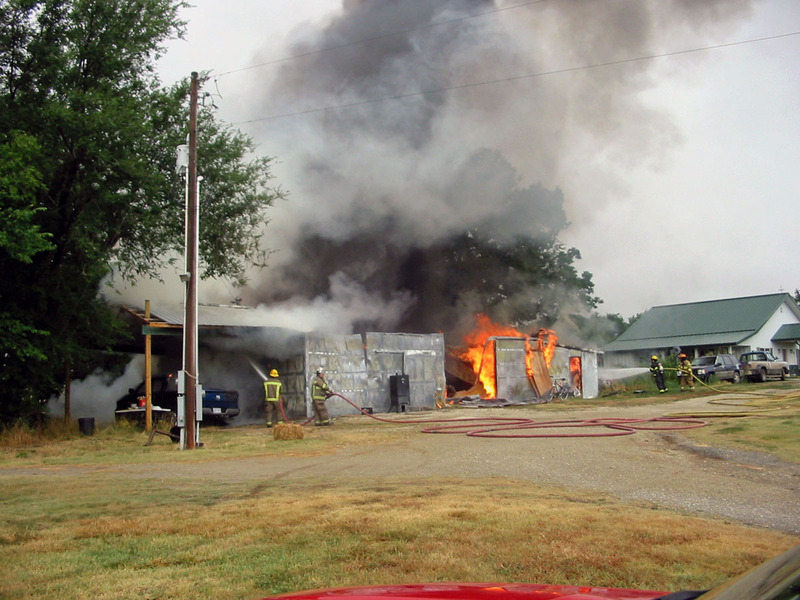 Autoaid Barn Fire to Sedgwick County. 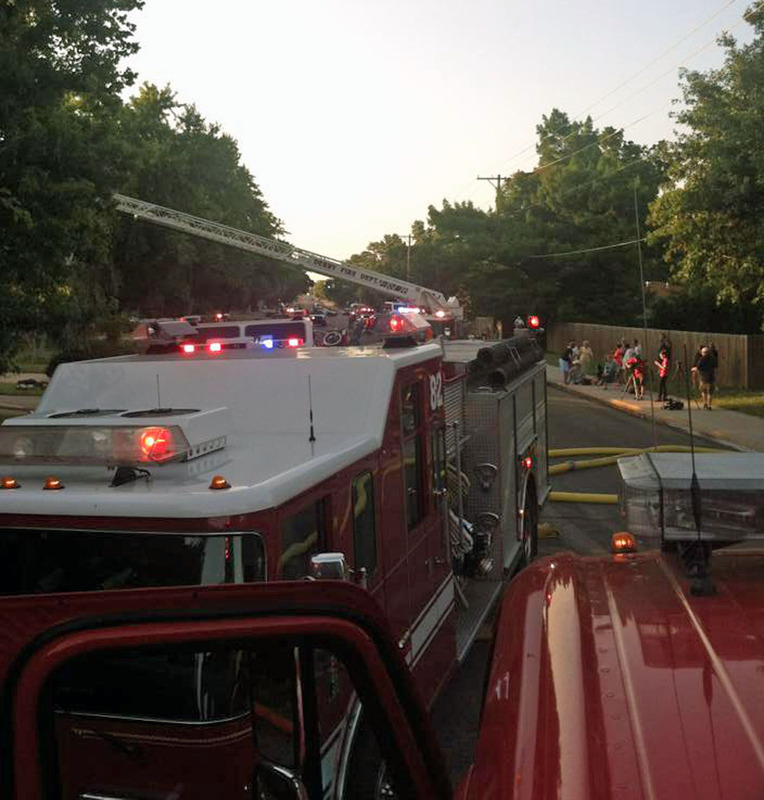 Suspicious House Fire on 130th Ave.
Autoaid House Fire to Derby, with one exposure fire. 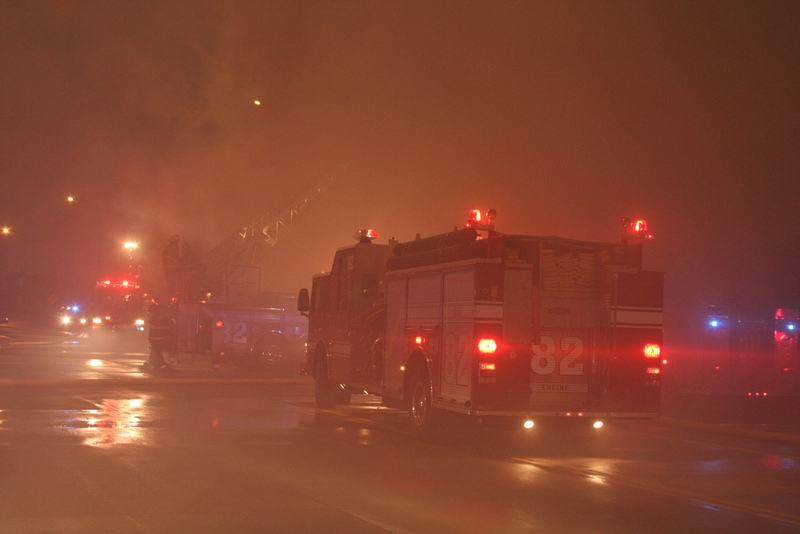 Autoaid to Derby for a building fire. 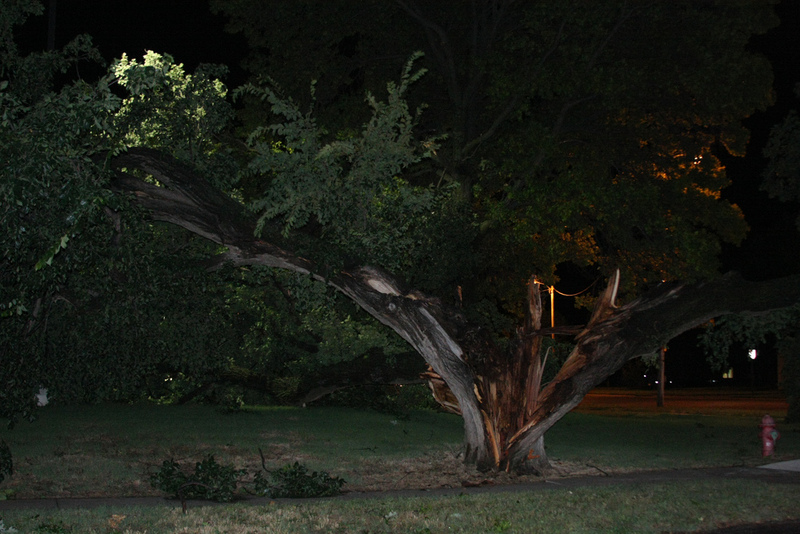 Storm Damage for strong windstorm, winds reported up to 89 mph. 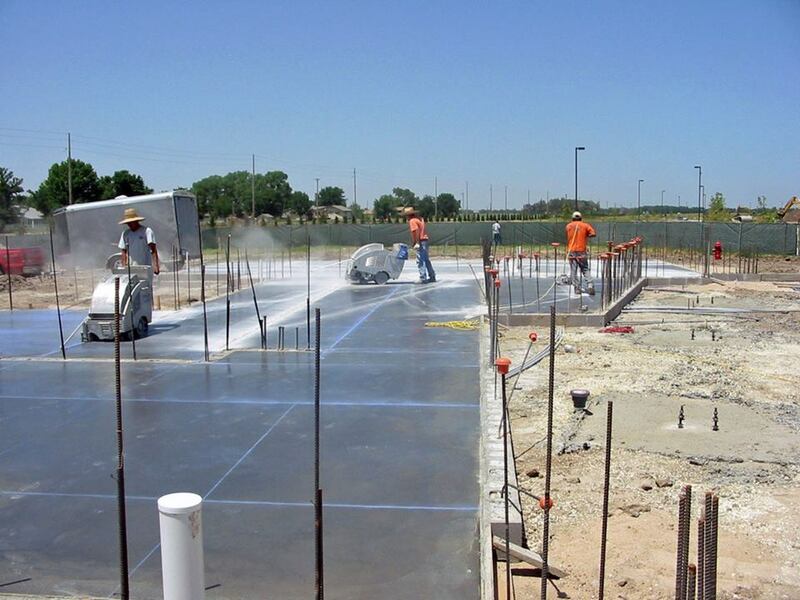 Concrete work on floors and walls starts for MES new Sub-Station 2 at Kansas Star Casino. 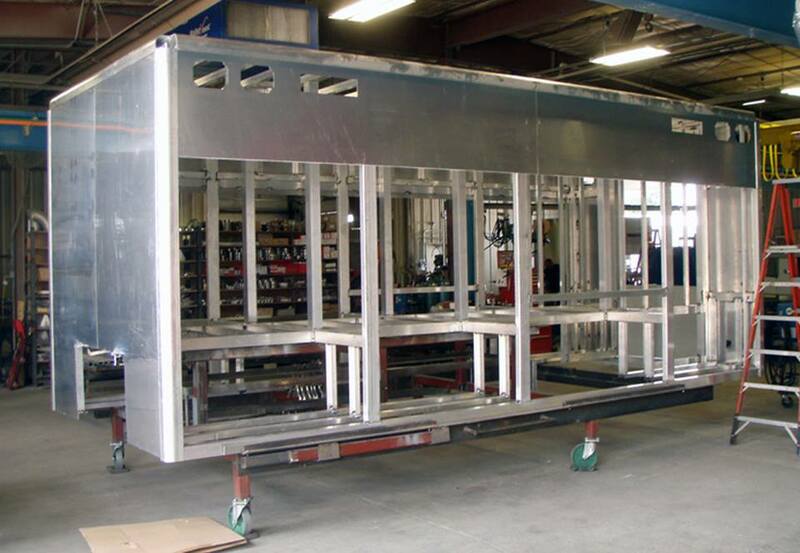 Water Facilities – Gravity system, 50,000 gal. water tank elev. 90’, bottom of tank about 110’ above business District. 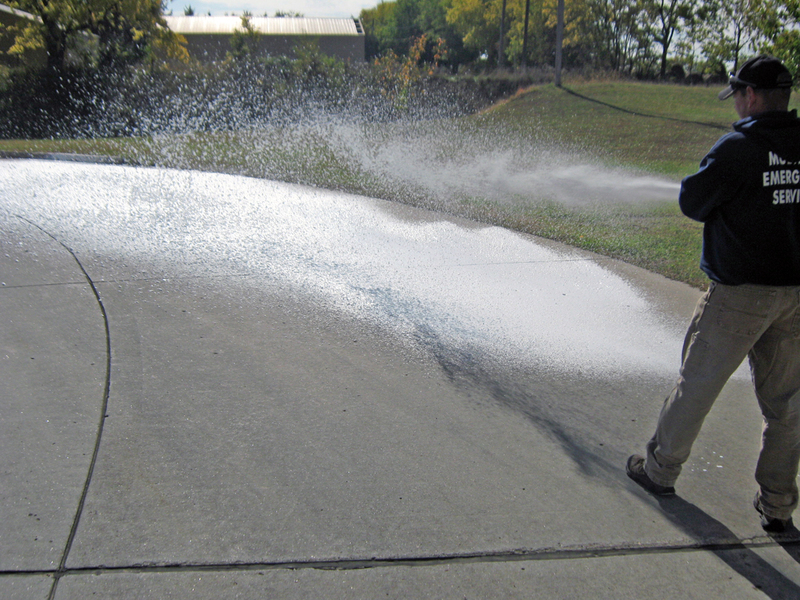 1-Deane triplex pump (size 8”x8”) capacity 350 gals per minute. 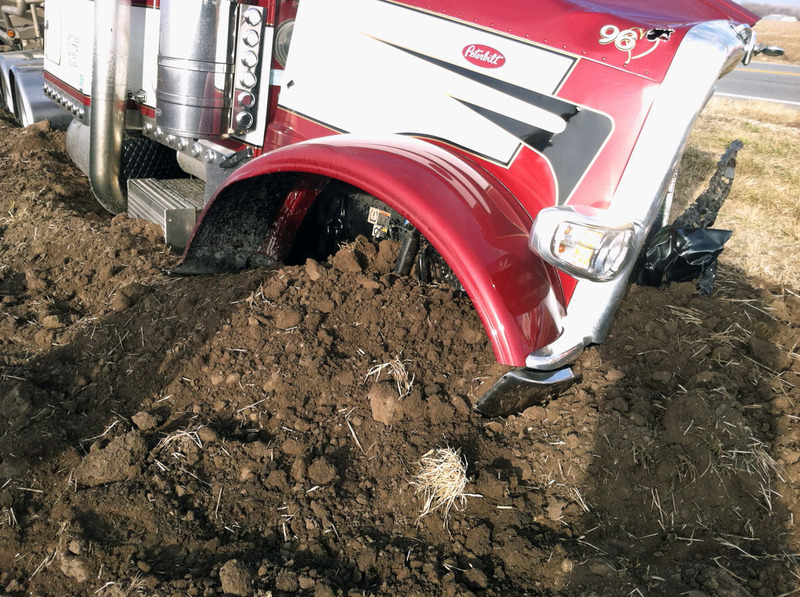 Run by 30 HP Stover gas engine. 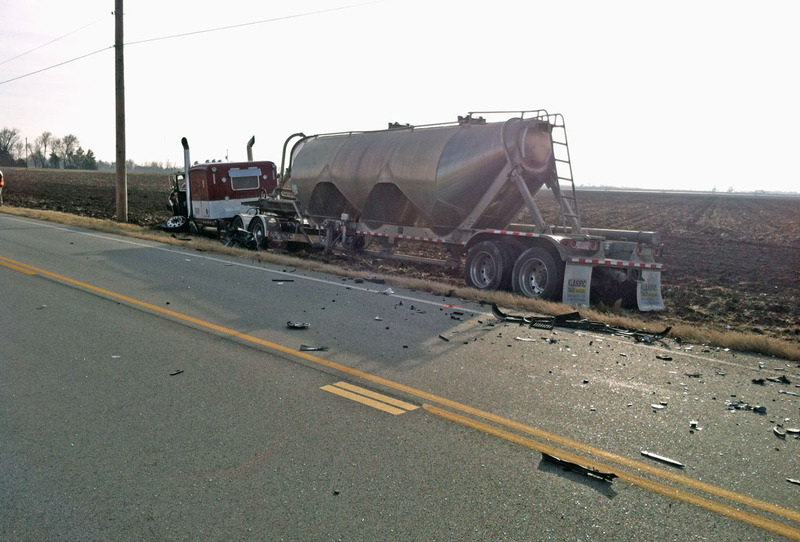 Water supply from 3 – 8” & 2 – 6” well 38’ deep. 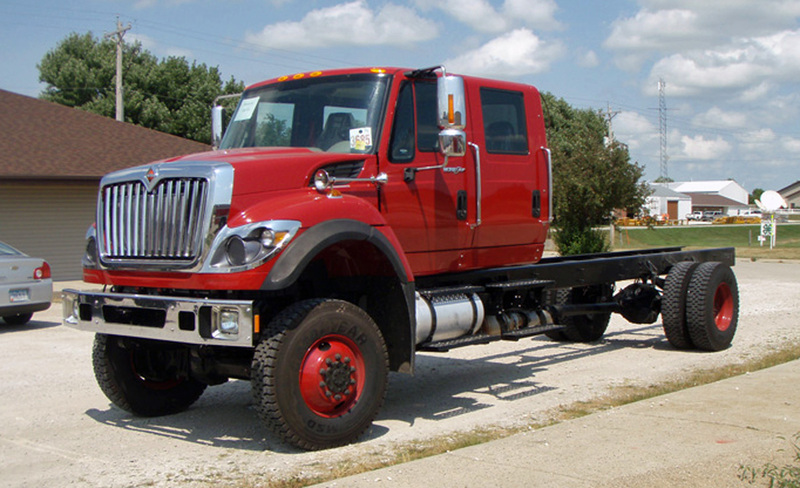 Average daily consumption 70,000 gallons, 4 miles of 8”, 6” & 4” cast iron mains. Laid in May 1911, 35 double barrel hydrants. 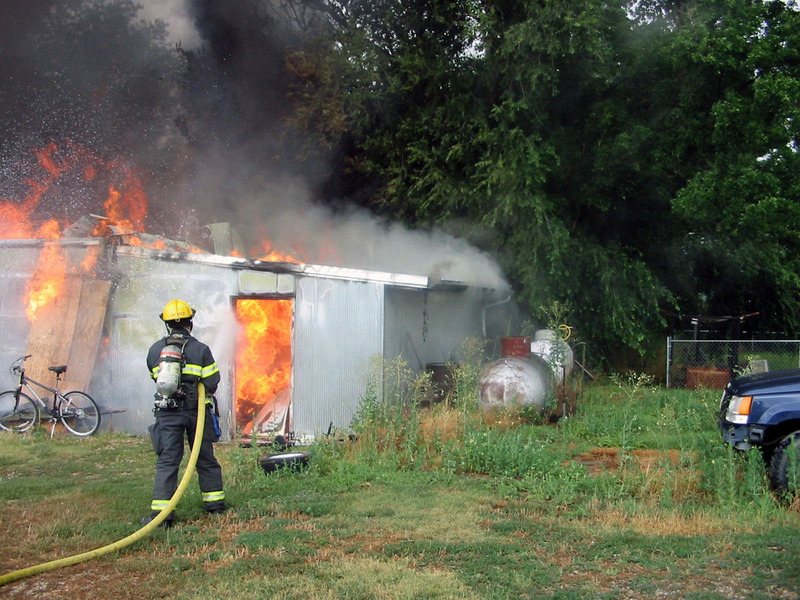 Fire Department – 35 volunteer members, 2 hand reels, 1000’ of 2.5 C.R.L. (cotton, rubber lined) hose. 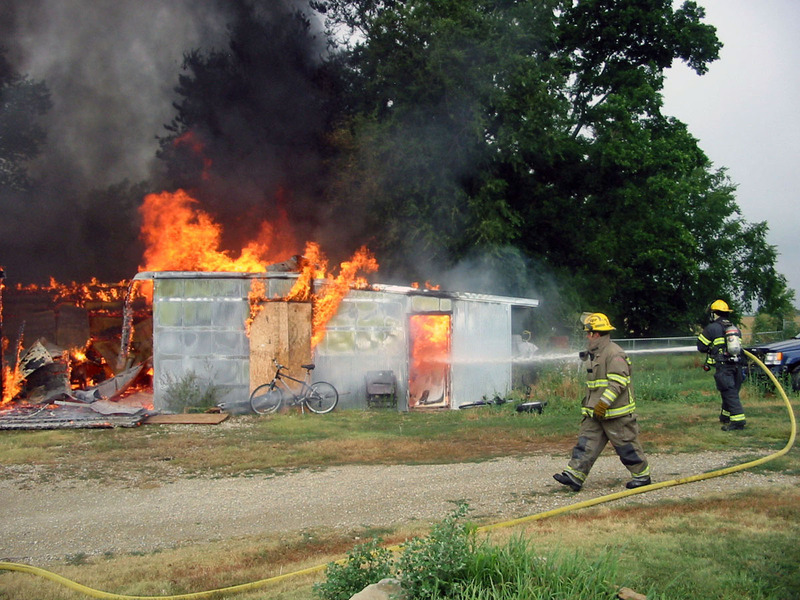 4 – 3 gallon chemical ext., 1 chemical cart with 2-60 gallons chemicals, 1 H & L (hook & ladder) wagon. 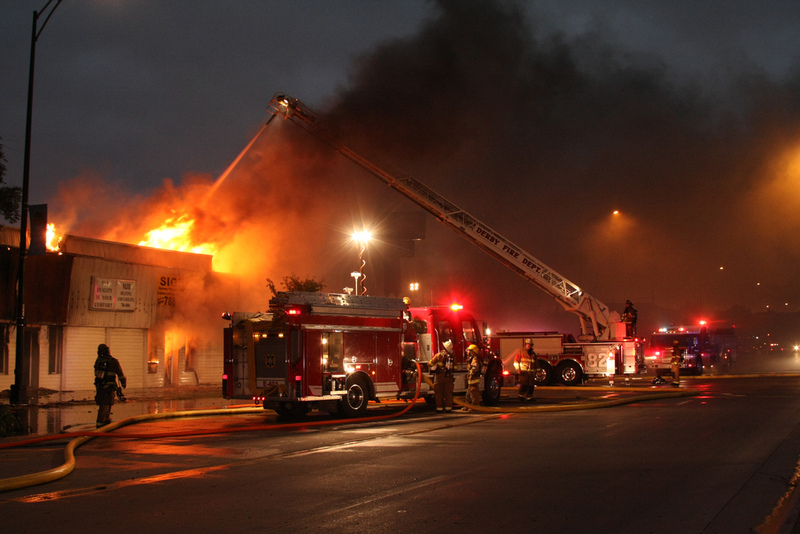 Fire Alarm: - Telephone & whistle on Electric Light Plant. 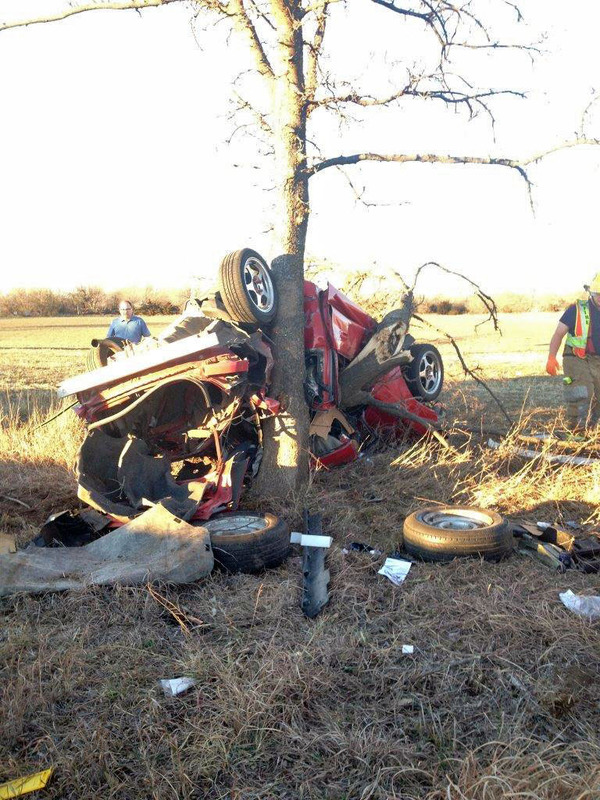 Three vehicle MVA on Rock Road. 2013 Probie class receives their shirts & class certifications. 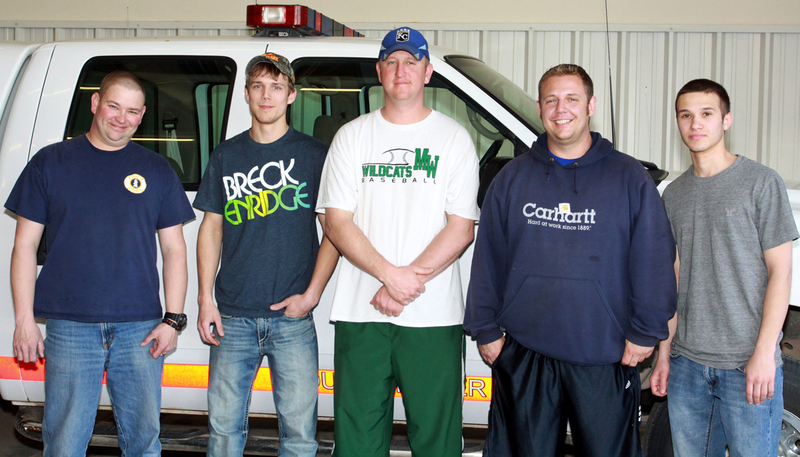 (L-R) Caleb Hatfield, Matt Rhodes, David Dieker, Matt Wilson, Ruben Cornwell & Jordan Horner. 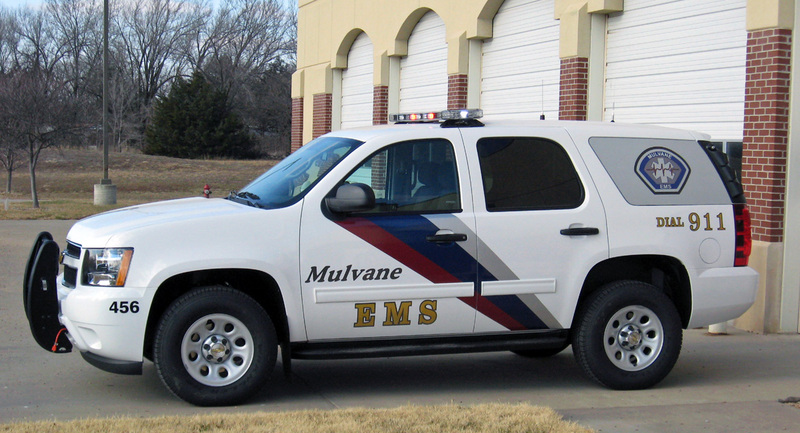 Mulvane City Council finally accepts bid to build new Fire / EMS substation. 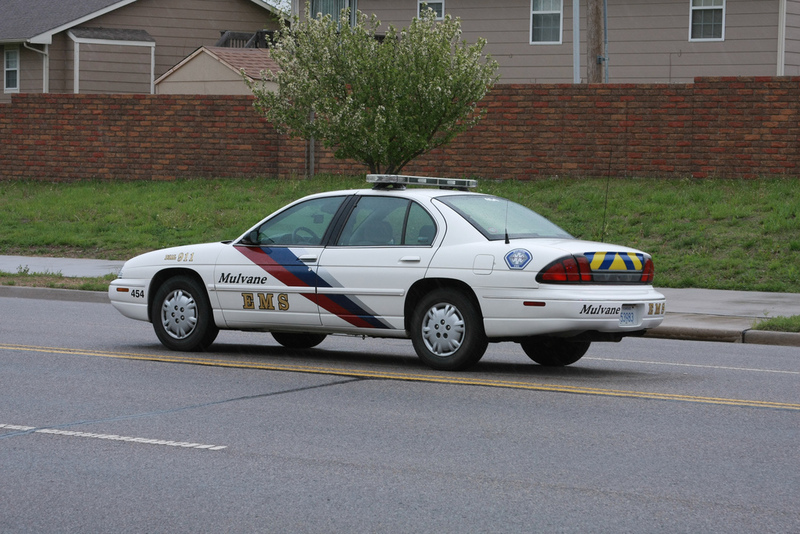 After the third bid letting, contractor Waltz, Harmon & Huffman was selected to build the new 1.38 million dollar substation next to Kansas Star Casino. 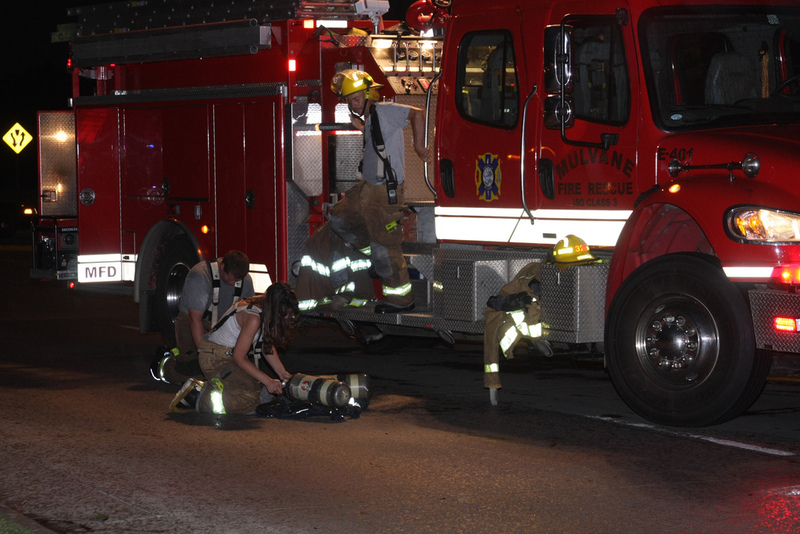 Fire Department welcomes six new recruits into the New Member class. 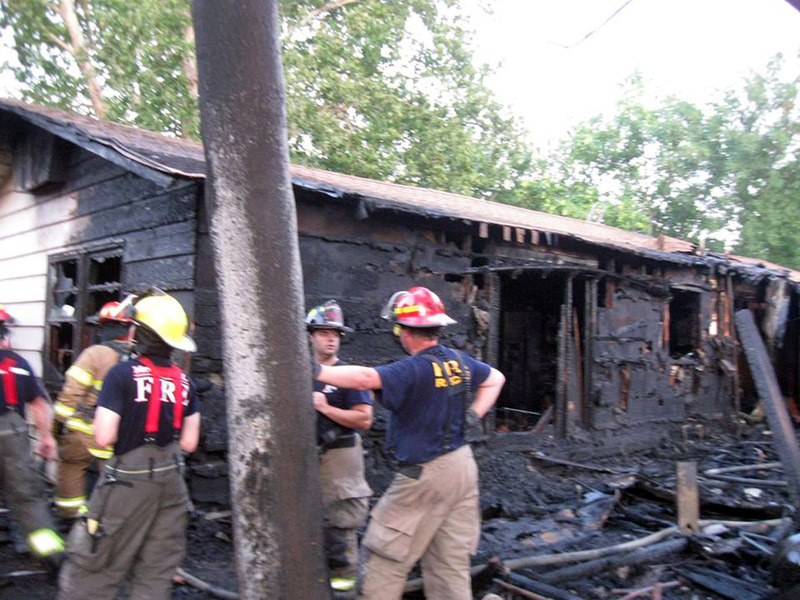 (L-R) Lt. Jason Mundell T.O., Matt Rhodes, David Dieker, Matthew Wilson & Jordan Horner. 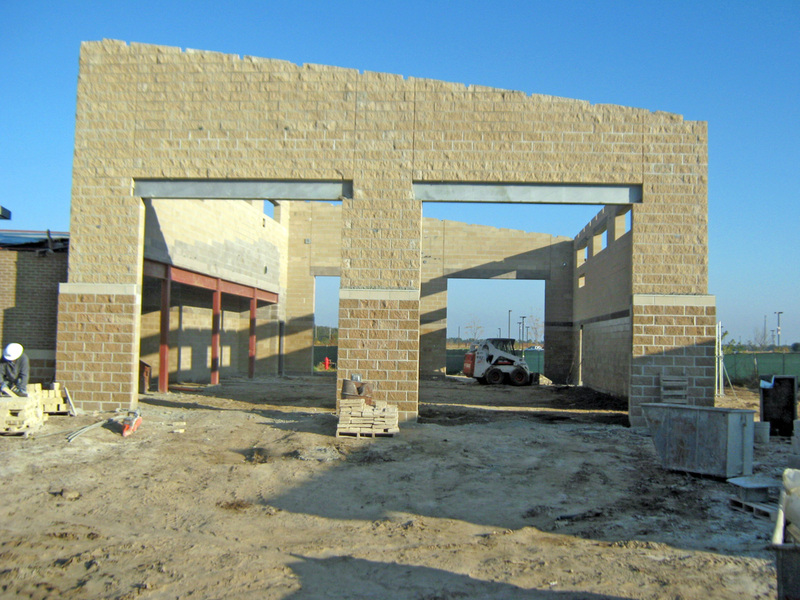 7 of 17 new full time Paramedics being add to help handle the new substation being built at Kansas Star Casino. 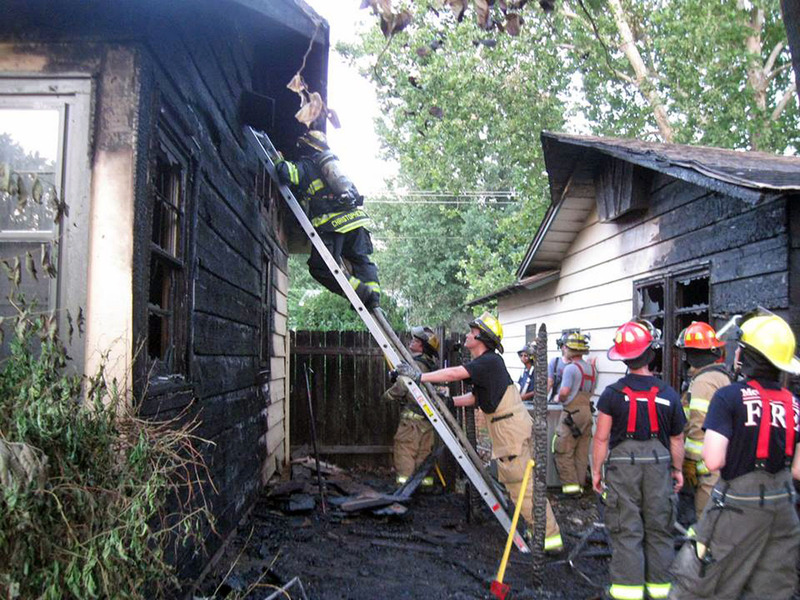 (L-R) Brian Sleffel, Luke Rivera, Kerry Hull, Cody VanDeest, Traci Rosendale, Heron Juarez, Kevin Stoll. 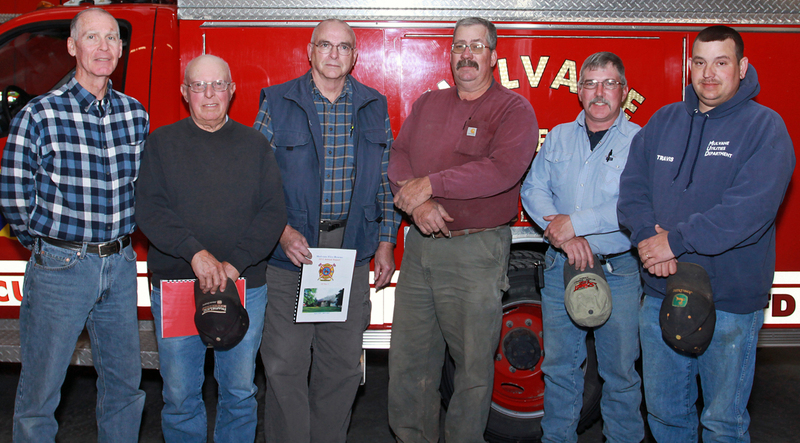 Sumner County Fire District #12 Board Members for 2013. (L-R) Steve Firkins, Pres. Harry Sutton, Jim Cunningham, Lt. Fred Heersche, Jim McDaniel, Travis Patterson. 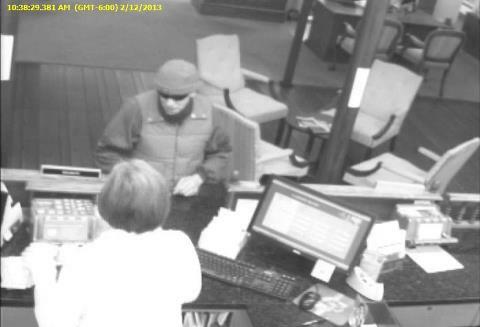 Call Mulvane PD at 316-777-4262 if you recognize this man! 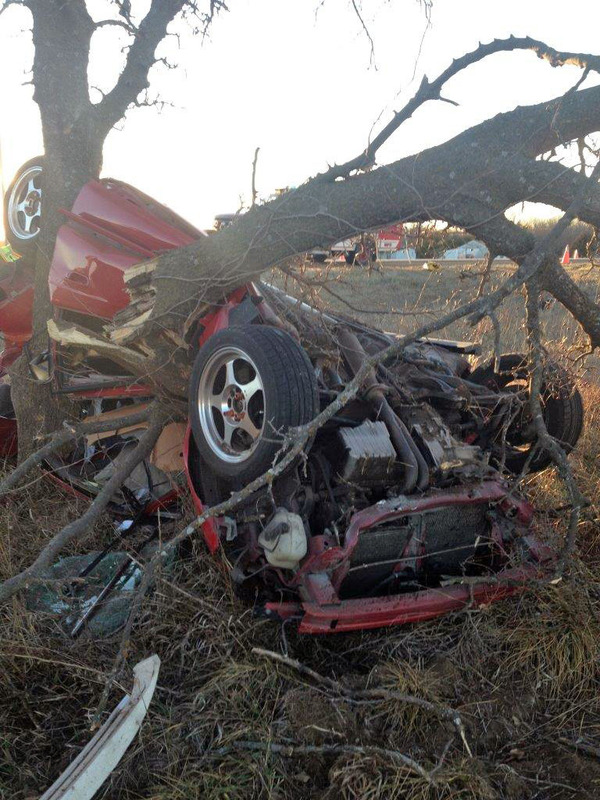 MVA on K-15 Highway, one critical injury. 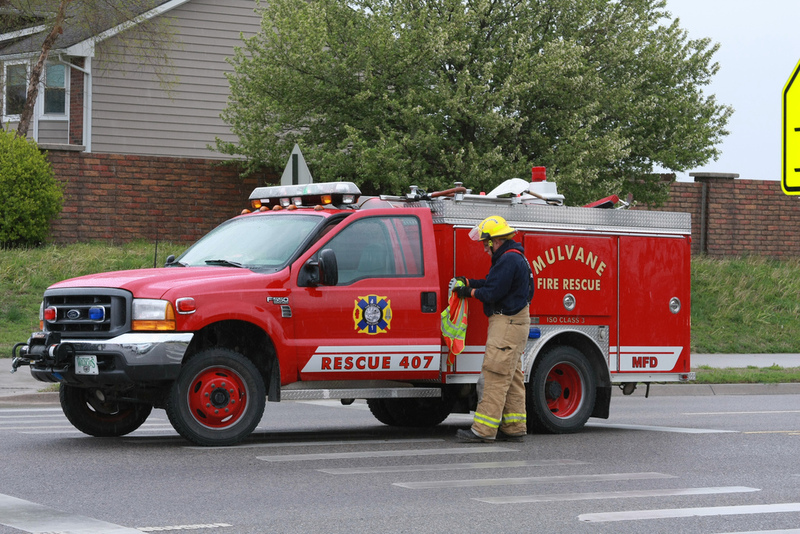 Mulvane City Council accepts low bid from Toyne Fire of Breda, Iowa to build a new medium duty Rescue Truck for Mulvane Fire Rescue. 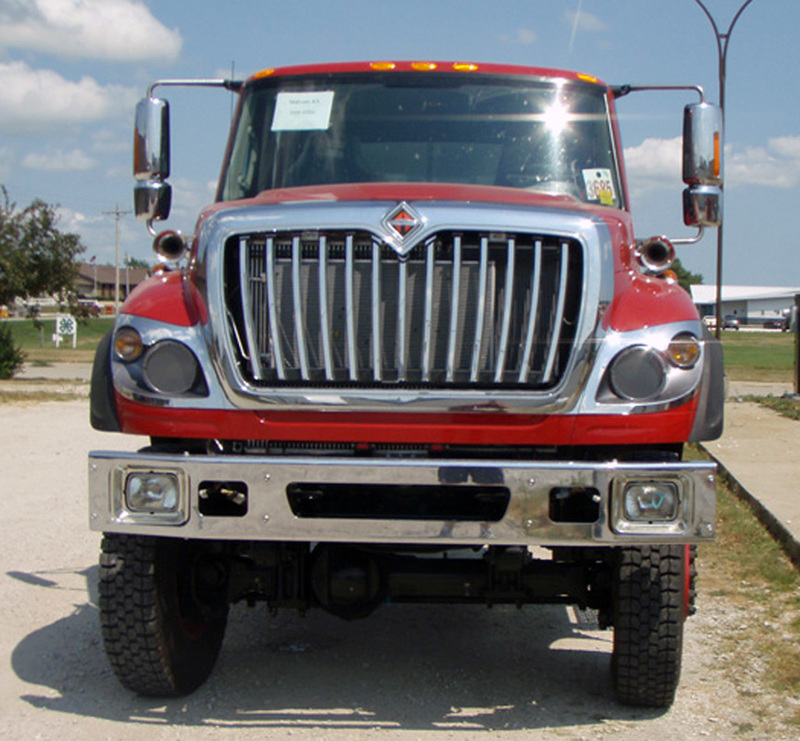 The low bid of $282,262 was accepted to build a 18' International 4 door cab 4x4 rescue truck. Ten vendors submitted bids. 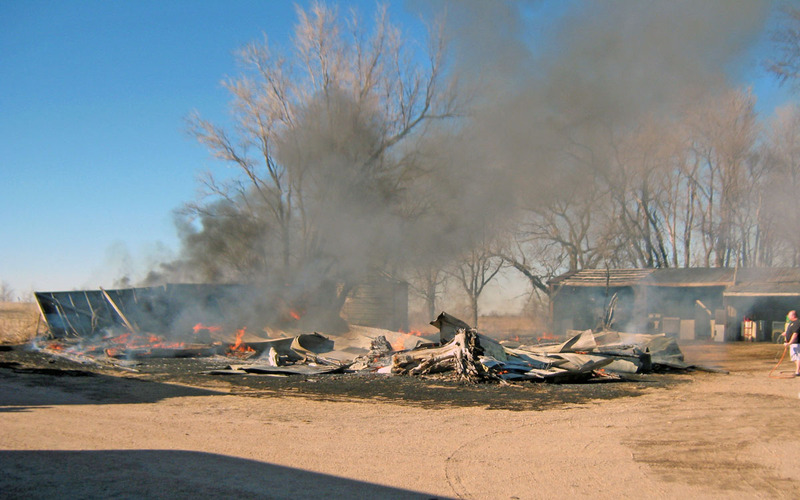 Barn Fire on north Oxford Road, on the ground when we arrived. 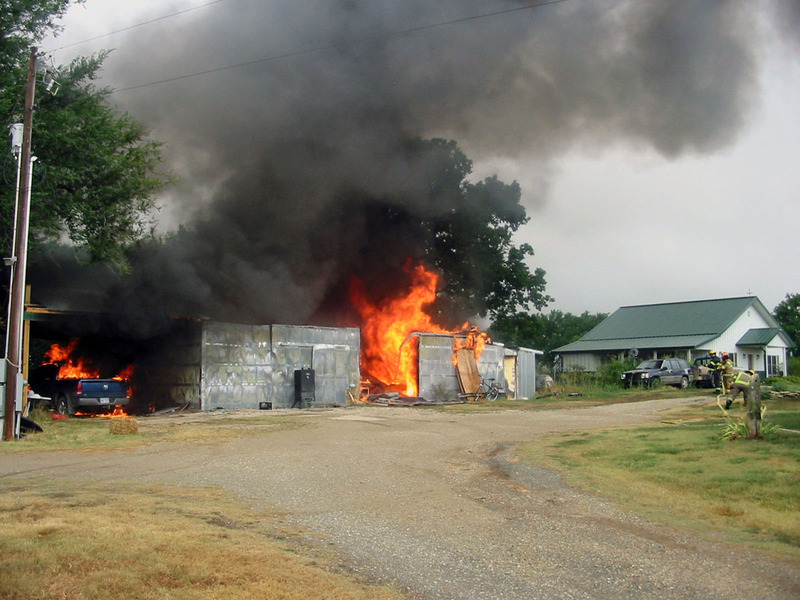 Fire was started by the owners burn pit which they thought had been out for a couple hours. 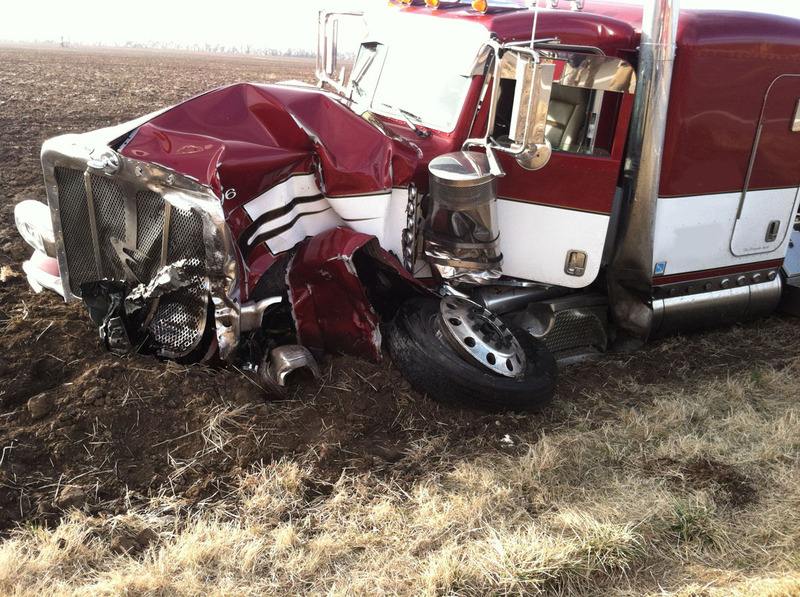 CCFD #4 assisted auto-aid with a tender out of Udall. 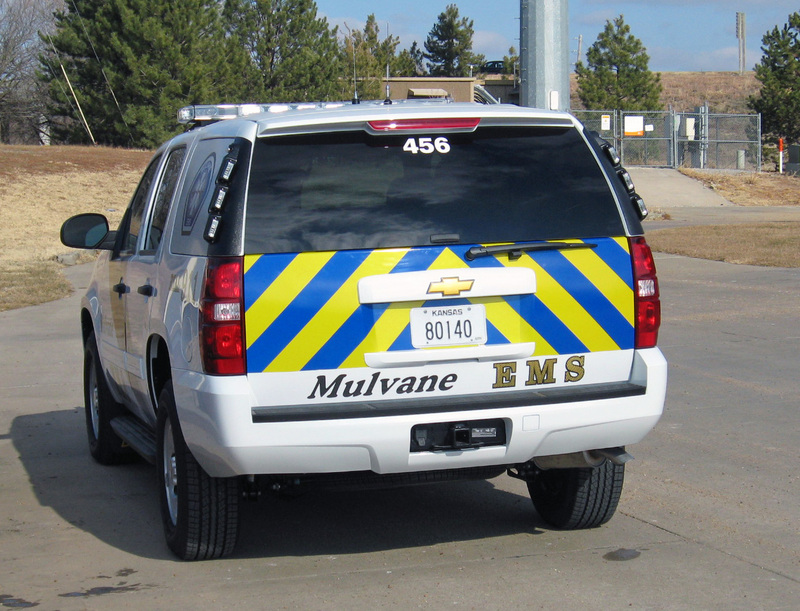 Mulvane EMS adds new 2013 Tahoe. 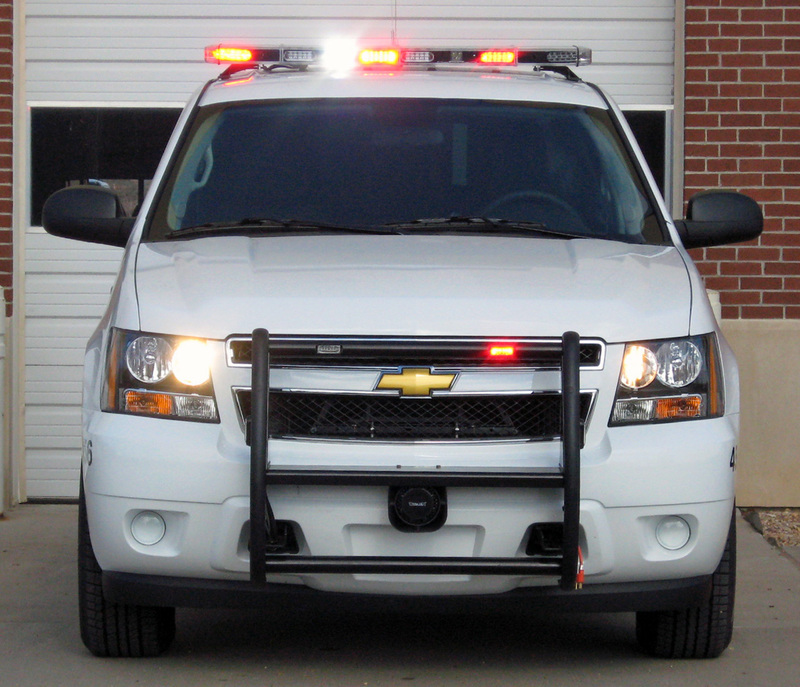 This vehicle is assigned to EMS Captain Judi Patterson. 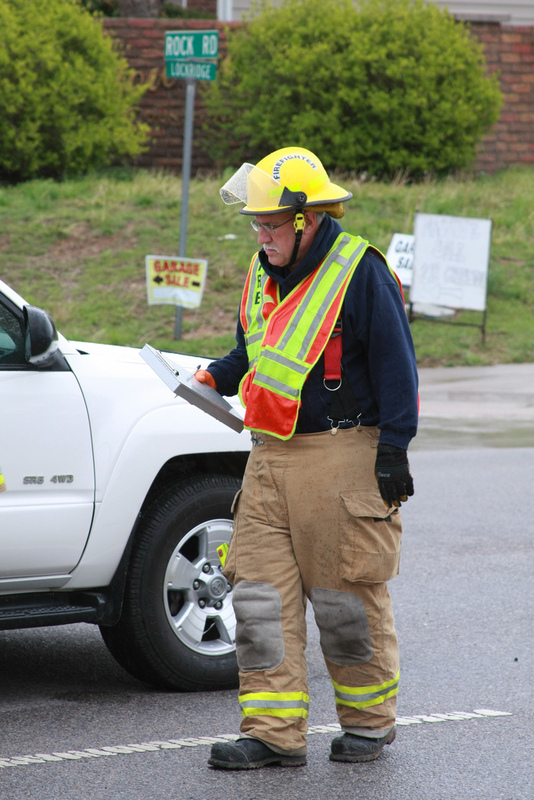 Fire Department New Member class starting January 15th, 7 new rookies!